One of the things I’ve missed most about living in Austin is the food. In addition to the wide availability of delicious fresh produce, I adore Tex-Mex – salsa, guacamole, chili, and of course, tacos! Yesterday I revisited an Austin tradition: the breakfast taco. Breakfast tacos are traditionally filled with meat, eggs and cheese, but I created a vegan version using tofu. It was incredible! And when filled with yummy veggies and avocado, these tacos are actually pretty good for you, compared to their meaty counterparts which are usually grease bombs. These tacos are filled with high quality protein from the tofu and healthy fats from the avocado and olive oil. 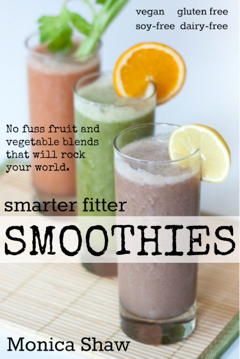 Most importantly, they’re delicious, as long as you get the ingredients right. The key to delicious breakfast tacos is quality salsa and good tortillas. I used Native Texan Brand Chipotle Salsa, delicious, but you could equally make your own. This was a totally random creation, so my ingredients are estimates. These ingredients are estimations, so feel free to adjust the amount and variety of veggies to suit your tastes. You may want more or less jalapeno depending on your spice tolerance and the heat level of your salsa. Just don’t forget to use good salsa – none of that Pace junk! In a frying pan, heat up the olive oil on medium heat. Add the green pepper, jalapeno and onion and saute until the onion just starts to brown. Add the tofu, garlic, salsa and a sprinkle of salt and saute for about 3-5 minutes, until the tofu has cooked a bit but isn’t overly dry. Check the flavor and add more salt if necessary. 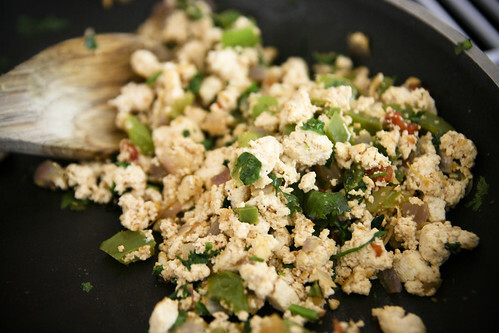 Remove the tofu from heat and stir in the cilantro. 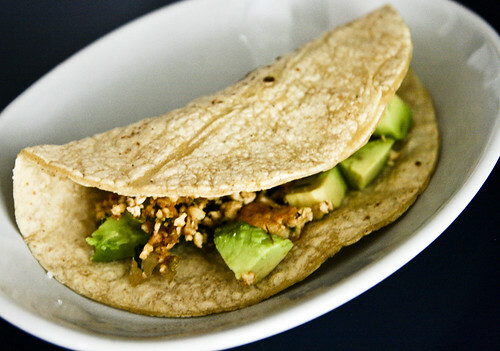 Divide the tofu mixture into the three tortillas and top each with diced avocado. Sprinkle the avocado with a little bit of salt, add more salsa if desired and serve! Makes 3 tacos. Per taco (made with corn tortilla): 193 Calories; 9.5g Protein; 10.7g Total Fat; 18.5g Total Carbohydrates; 0mg Cholesterol; 141mg Sodium; 5.2g Fiber. Sounds great! I like a good breakfast wrap. MMMM looks and sounds fantastic! I love these types of meals, but believe it or not have such a hard time finding corn tortillas here. Tonnes of wheat ones with tonnes of additives – well no thank you. But I am on the look out. That sounds so yummy!!! It kind of reminds me of the vegan tofu scramble I had the other day. you have such a fantastic diet. and i love that you really enjoy your food! i aspire to be like you!!! I’m late commenting/reading your blog but I hope you enjoyed Austin! It was super hot, huh? Anyway I still love your phrase ‘spiritual home’ and have begun to use that phrase for my own ‘spiritual home’ which is New Mexico. Anyway love your blog, your meals always look amazingly tasty & healthy. Hope you had a blast in Austin and next time we should meet up!